British national guidelines recommend that adults have their eyes tested at least every two years, whilst those under 16 and those over 70 should have their eyes tested annually. But when was the last time you had your eyes tested? Comprehensive eye examinations don’t just check to see if you need glasses, they’re often the only way of identifying the first symptoms of vision-threatening conditions such as glaucoma, cataracts, macular degeneration or retinal tears, or even general health problems such as diabetes or high blood pressure. Failure to detect these issues can result in loss of vision or blindness, so it’s vitally important to book regular check ups with your optician to keep your family’s eyes in good health. Peepers Opticians is proud to offer one of the most comprehensive – and personalised – eye examinations in Tunbridge Wells. As an independent practice, we believe in the unique requirements of each individual patient, and as such we tailor every appointment around your needs and concerns. Every appointment begins with an informal chat about you, your lifestyle and your eyewear requirements. This gives our optometrist a framework from which to make highly personalized recommendations about your eye care and eyewear. 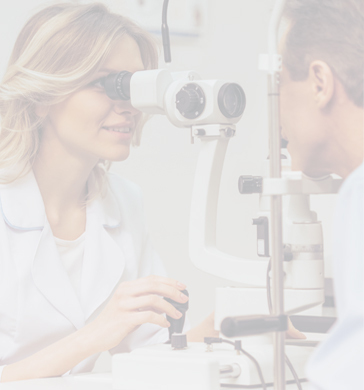 Our eye examinations typically last around 30 minutes, and involve a number of painless tests using the latest technology to check your prescription, peripheral vision, intraocular pressure and general retinal health. If your prescription has changed, our dispensing team will be on hand to recommend eyewear to suit your features, lifestyle and budget.